A Bad Deal? 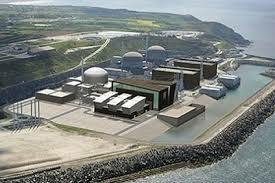 The EU recently approved the UK plan to subsidise a new nuclear power plant at Hinkley. Brussels gave the go ahead to the state subsidy scheme. The plan will offers EDF Energy a set price for 35 years. This clears another hurdle on the way to the first nuclear reactors to be built in Britain for almost 20 years. This is a big backward step for renewable energy. This is a giant step back for the EU commission that only in January this year was highly critical of the plan. In January Greenpeace published an article on the EU Commission. Here is a bit of that article: “The European Commission (EC) has delivered a fiercely skeptical initial take on the UK Government’s deal with French state owned EDF to build the first new nuclear reactor in the UK for a generation, concluding the measures definitely categorise as state aid. The government of David Cameron has always thought this is a great idea. He helps out his friends and you and I get saddled with the debt for 35 years. Now the EU commission has approved a plant they first thought was barmy. Fortunately the NAO – National Audit Office will also look into planed subsidies for Hinkley. Hinkley A is shut down and full of contaminated material with no place to go. The costs to remove all the radioactive material and dispose of it is in the billions. There is no place to put the radioactive material. That is why it is still there. Hinkley B is still operating even though many cracks to the core insulating material have been found. Many cracks in the carbon insulating material weaken the integrity of the reactor safety. If just one of these insulators gives way it could start a chain reaction. Hinkley C will bankrupt us all due to excessive costs. The build price was £14bil, then £16Bil, and now the EU approved a state sponsored £20bil. The government is promising the operator twice the current price for electricity produced for 35 years. Here is the governments own spin.